Ireland’s Atlantic Way Chauffeur Services offers our Luxury Airport Transfers Ireland to all locations / hotels / attractions in the mid west region of Ireland. You will be chauffeur transferred in top of the range Mercedes E Class & V Class vehicles with wifi on board to make all luxury airport transfers Ireland as comfortable and smooth as is possible. Our experienced drivers will adjust collection times if your flight is earlier than scheduled or later ensuring top class airport transfers. 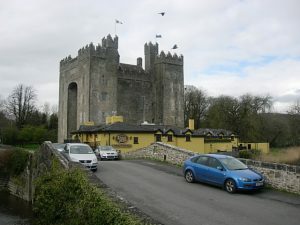 Our location is just 4 miles from Shannon Airport close to Bunratty. Specialising in local airport transfers from Shannon Airport / Bunratty to Limerick, Killarney and Galway. 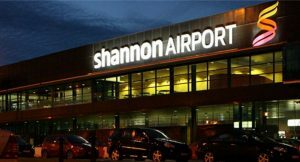 We are also close to other airports including Cork Airport (80 mins) and Dublin Airport (120 mins). We offer VIP transfers to and from all Irish Airports. Your driver will monitor your flight arrival time. You don’t have to worry about changes in arrival timings due to flight changes. We will greet you at airport arrivals, before escorting you to our waiting car while helping with luggage. All top of the range Mercedes vehicles available with wifi at competitive prices. The Shannon region has a large number of leading national and international corporations. We regularly transport senior management levels at these corporations. We partner with the top hotels in Ireland and as such, we can arrange early check-in if available.